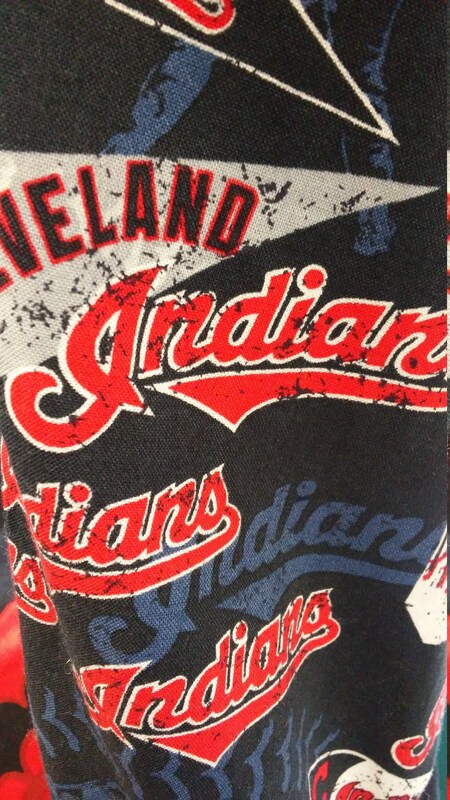 October baseball = chilly nights at the field. 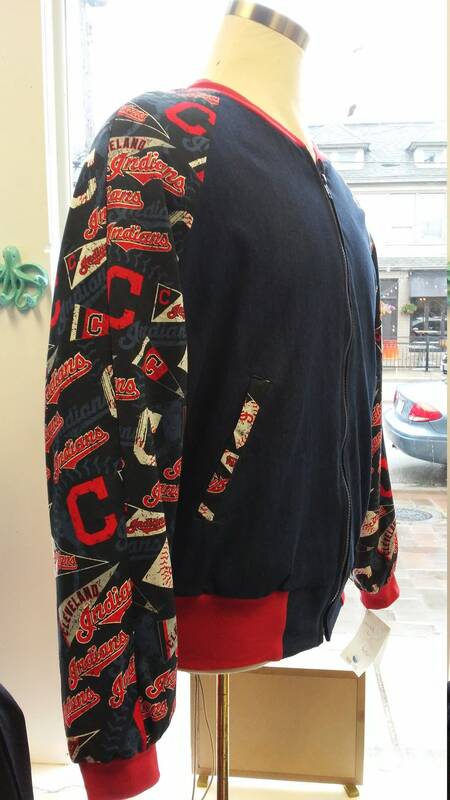 Stay warm and stylish in the Tribe Bomber, handmade from indigo stovepipe denim and Indians pennant cotton. 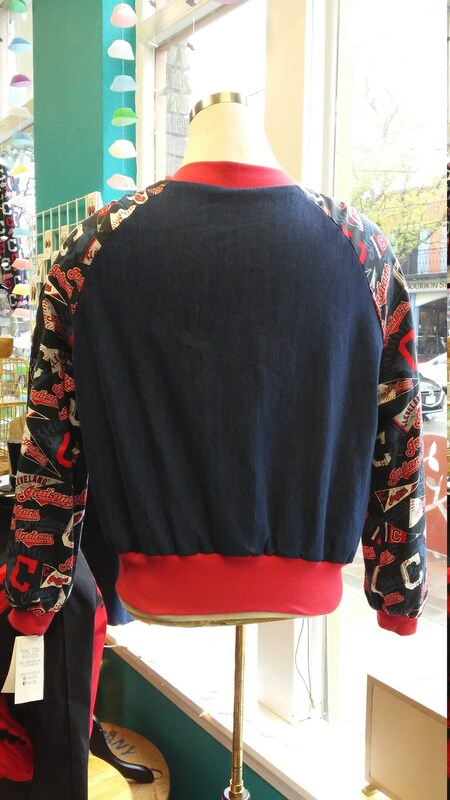 Fully lined, front welt pockets. 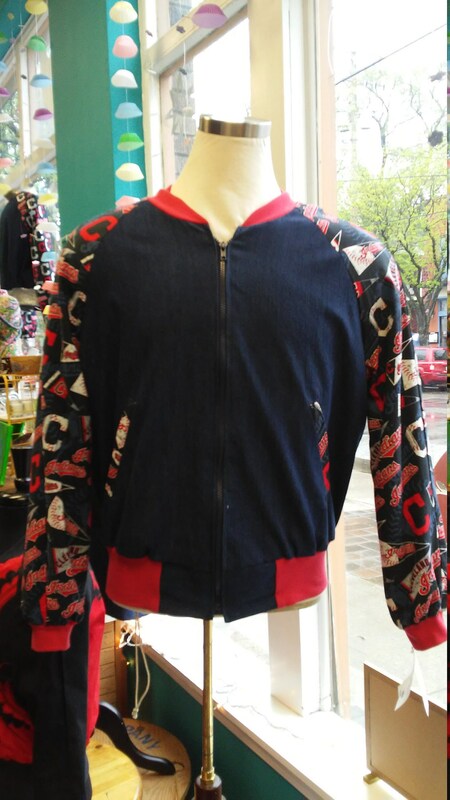 Cheer on your Cleveland Indians from near and far with this comfy jacket in unisex sizes XS - 2X.